The boxer was reported to police after making a series of homophobic comments. World heavyweight champion Tyson Fury has been cleared by police investigating allegations of hate crime. Greater Manchester Police have confirmed that no charges would be pressed against Fury after they received an allegation of hate crimes against the boxer. 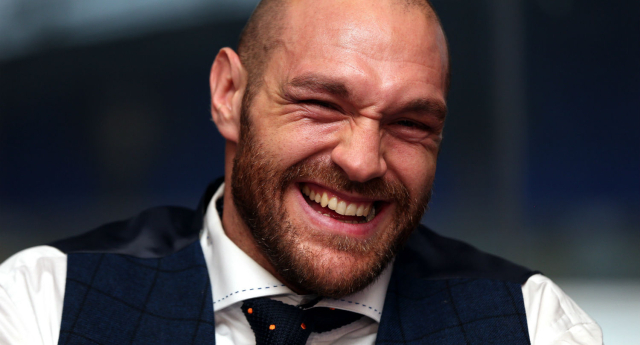 The allegations came after Fury made a series of bizarre, anti-gay outbursts, leading to intense criticism from the public and fellow athletes alike, as well as a summons from the British Boxing Board of Control. The heavyweight champion has consistently refused to apologise for claiming that once homosexuality, paedophilia and abortion are all made legal, the world will end. After quoting John 3:16, Fury continually repeated “Believe in the lord Jesus Christ and you will be saved,” as a response to several questions. The boxer also claims to have “evidence” that paedophilia was legalised by a fictional ‘Gay Rights Act 1977’ – but the BBC has resisted pressure to rescind his Sports Personality of the Year nomination. However, Fury has been uninvited from the awards ceremony because of threatening comments he allegedly made to a sports journalist. As well as calling those who have signed the petition “50,000 wankers”, Fury has taken to Twitter – to claim he doesn’t want the award anyway. Despite his comments, the BBC says it will not alter the nominations.